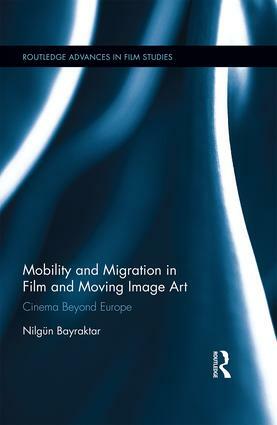 Mobility and Migration in Film and Moving Image Art explores cinematic and artistic representations of migration and mobility in Europe from the 1990s to today. Drawing on theories of migrant and diasporic cinema, moving-image art, and mobility studies, Bayraktar provides historically situated close readings of films, videos, and cinematic installations that concern migratory networks and infrastructures across Europe, the Middle East, and Africa. Probing the notion of Europe as a coherent entity and a borderless space, this interdisciplinary study investigates the ways in which European ideals of mobility and fluidity are deeply enmeshed with forced migration, illegalization, and xenophobia. With a specific focus on distinct forms of mobility such as labor migration, postcolonial migration, tourism, and refugee mobilities, Bayraktar studies the new counter-hegemonic imaginations invoked by the work of filmmakers such as Ayşe Polat, Fatih Akin, Michael Haneke, and Tony Gatlif as well as video essays and installations of artists such as Kutluğ Ataman, Ursula Biemann, Ergin Çavuşoğlu, Maria Iorio and Raphaël Cuomo. Challenging aesthetic as well as national, cultural, and political boundaries, the works central to this book envision Europe as a diverse, inclusive, and unfixed continent that is reimagined from many elsewheres well beyond its borders. Nilgün Bayraktar is an Assistant Professor in the Visual Studies Program at the California College of the Arts. She received her PhD in Performance Studies with a Designated Emphasis in Film & Media Studies from University of California, Berkeley. Her research focuses on transnational cinema, migratory aesthetics, film/video installations, site-specific art, new media, and performance. This series is our home for innovative research in the field of film studies. It includes monographs and targeted edited collections that provide new insights into this important and evolving subject area.